Rt. Rev. Richard Cronin O.S.B. 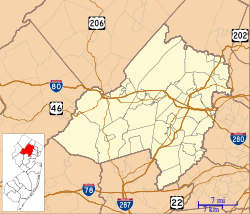 Delbarton School is a private all-male Roman Catholic college-preparatory school in Morristown, in Morris County, New Jersey, United States, educating young men in seventh through twelfth grades. Delbarton is a Catholic independent school directed by the Benedictine monks of St. Mary's Abbey. The school is located within the Roman Catholic Diocese of Paterson, operating on an independent basis. As of the 2015–2016 school year, the school had an enrollment of 572 students and 72.4 classroom teachers (on an FTE basis), for a student–teacher ratio of 7.9:1. The school's student body was 75.2% White, 9.3% Asian, 5.2% Hispanic, 2.1% Black, 0.2% Native Hawaiian / Pacific Islander and 8.0% two or more races. Delbarton's student body comprises students from more than eight New Jersey counties and 100 communities. In 2007, The Wall Street Journal ranked Delbarton School ninth among America's high schools. For the 1983–1984 school year, Delbarton School received the National Blue Ribbon Award of Excellence from the United States Department of Education, the highest honor that an American school can achieve. In 2018, Niche.com ranked Delbarton second among Catholic high schools in the United States, and eighth among all private schools. Delbarton is a member of the New Jersey Association of Independent Schools and has been accredited by the Middle States Association of Colleges and Schools Commission on Secondary Schools since 1961. The school offers financial aid to families who cannot afford the cost of tuition, and financial aid offers are considered independently of admission. Annual tuition is $37,900 for the 2017–2018 school year. Delbarton is a host site for NJ Seeds' young scholars program where every summer academically qualified but economically disadvantaged students attend classes on the Delbarton campus. The Kountze Mansion, also known as "Old Main"
In the 1880s, Luther Kountze established an estate in northern New Jersey. He began to buy more land, eventually expanding his estate to cover 4,000 acres (1,600 ha). 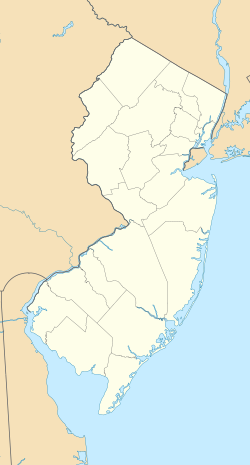 This eventually became the home of St. Mary's Abbey/Delbarton, Morristown National Historical Park and Lewis Morris County Park. Kountze eventually named the estate "Delbarton," borrowing one syllable from the names of each of his first three children (DELancey, BARclay and LivingsTON). In 1918, Kountze died, leaving the entire property to his family. The family decided to put the estate for sale. In 1925, the monks of Saint Mary's Abbey, then in Newark, purchased approximately four hundred acres of Delbarton to use as a separate house for younger members for studying, finally settling on the property in 1927. After some time, the monks decided to open a secondary school, as the Newark residence had done so with Saint Benedict's Preparatory School. After some deliberation, Abbot Patrick O'Brien opened Delbarton School in 1939, appointing Father Augustine Wirth as the first headmaster. At that time, the school was a boarding school for sixth, seventh, and eighth grade students. In 1942, Father Stephen Findlay succeeded as Headmaster and introduced drastic changes. The grade levels were modified, ultimately resulting in seventh through twelfth grades being offered. The Kountze carriage house was destroyed in a fire in 1947, leading to the construction of the St. Joseph Gymnasium. Because of the fire, the school chose as its motto, "Succisa Virescit" (having been cut down, she grows back stronger), borrowing from the often destroyed Abbey of Monte Cassino in Italy. Trinity Hall opened in 1959, allowing the enrollment to increase to over 300. Father Stephen retired in 1967 to the position of Director of Development. In 1971, the Schmeil-O'Brien Hall dormitory was dedicated, although the majority of students were day students. Delbarton's fourth headmaster, Father Gerard Lair (1975–1980), initiated more changes. The system of discipline from demerits and detention changed to a conversational program designed to bring about positive changes. As the academic prestige of the School grew, the Board of Trustees decided to terminate the residential program in 1978. The last two resident students graduated in 1983. Since then, more facilities have been built, with the dedication of the Lynch Athletic Center in 1983, Findlay Science Pavilion in 1995, Fine Arts Center in 2006, the 40 Acres soccer and baseball fields in 2009, and the Cocoziello Field and Posserelli Track in 2010. Molestation allegations against a monk at Delbarton resulted in lawsuits being filed against the school by two former students who claimed to have been inappropriately touched by the Reverend. Delbarton has made many efforts to open up the student body to the international community. Over the past few years many respectable speakers have spoken to the student body including Dith Pran and Lech Wałęsa. Delbarton students also have several opportunities to travel abroad. The school participates in foreign exchange programs with schools in Ireland, particularly sister school Glenstal Abbey School in County Limerick, and the Bildungszentrum Markdorf School in Markdorf, Germany. Juniors can travel to the Caribbean during the summer between their junior and senior year to learn about the culture and history of select islands through the school's SOL program. Students also have the opportunity to experience eco-tourism first hand in Costa Rica. Students have visited nature reserves, Arenal Volcano, Poás Volcano National Park and Monteverde while studying at the CPI language school in Heredia, Costa Rica. Delbarton students have also traveled to Spain on several organized summer trips and to Germany for World Youth Day with the school's religious educator David Hajduk. The school has also sent several students to help assist in Operation Smile Missions in China, Honduras, and Thailand. The most recent established trip overseas was a mission trip to Nairobi, Kenya, and Hanga, Tanzania, where students donated money and aid to several schools. The school's various musical ensembles also travel to foreign countries to tour and perform. Students participate in the school's Model United Nations and Challenge 20/20 clubs. The Model United Nations club participates in four to five Model UN Conferences every year and has attained much success, winning the Best Small Delegation Award at Princeton's 2005 conference, the 2007 Seton Hall University conference, and 2009 WAMUNC. The club also participated in The Hague International Model United Nations, held in the Netherlands from 2006 to 2008. Delbarton operates an 8:10 a.m. to 2:34 p.m. schedule, including six class periods, a conference period, and lunch. The schedule is a seven-day rotating block schedule ("A day" through "G day") with one class dropping out of the schedule each of the seven days. The blocks are named each school year in keeping with the year's academic theme, which honors figures of heroism, social justice, promoters of worldwide peace, or historically important figures. All students have a thirty-minute free period ("M block") from 10:00 to 10:35 AM. Teachers, guidance, and college counseling are available during M block and after school for extra assistance as needed. Although the school day ends at 2:40 PM, the first buses do not leave campus until 4:00 PM, which encourages students to pursue extracurricular activities, work with faculty on homework and special projects, and volunteer on one of the many community service projects the school sponsors. Late bus service is also offered at 6:00 PM. Delbarton offers 24 Advanced Placement courses. In 2009, 107 Delbarton students qualified as AP scholars, with 16 students qualifying for the National AP Scholar Award, 37 qualifying for the AP Scholar with Distinction Award, 26 qualifying for the AP Scholar with Honor Award, and 34 students qualifying for the AP Scholar Award. Delbarton does not offer any courses designated explicitly as "honors" because even classes not designated as "AP" are taught well beyond the traditional high school level. For example, students may take mathematics classes up to 3 years ahead of the nation-wide standard (Algebra 1 in freshman year). Advanced math courses such as Linear Algebra, Multivariable Calculus, and AP Statistics are offered, as are independent study options. Language and literature courses are also offered in several languages. With few exceptions, nearly all graduates continue on to four-year colleges or universities. Delbarton students are recognized for their academic achievements. In 2010, there were two National Merit Scholarships, three finalists, and 13 commended students. Eleven students were named Edward J. Bloustein Distinguished Scholars. The Delbarton Green Wave competes in the Northwest Jersey Athletic Conference (NJAC), following a reorganization of sports leagues in Northern New Jersey by the New Jersey State Interscholastic Athletic Association (NJSIAA). Before the NJSIAA's 2010 realignment, the school had competed in the Northern Hills Conference an athletic conference made up of private and public high schools located in Essex, Morris and Passaic counties. Delbarton offers cross country, football and soccer as sports in the Fall season. Delbarton's football program has won state football championships in 1993 and in 1998. The team won the Group III Parochial title in 1993 with a 24-23 victory over Saint Joseph Regional High School. The team won the 1998 title with a 21-3 victory over Immaculata High School. Delbarton has also finished second in the state sectional finals in 1988, 1994, 1996, 1997, 1999, 2001, 2005, 2006, 2011, 2012 and 2014. From 1946 to 1987, Delbarton was coached by William Regan Sr., who compiled a 236-83-10 record with 33 winning seasons and 7 undefeated seasons. From 1987 to 2002, Delbarton was coached by John Kowalik whose tenure included state titles in 1993 and 1998, state tournament playoff losses in 1997, 1999, and 2001 by fewer than six points in each game and five consecutive Northern Hills Conference championships for 1997, 1998, 1999, 2000, and 2001, finishing his career with a record of 138-29. Since 2003, the coach has been Brian Bowers. During this time period, the team transitioned to the North Jersey Athletic Conference in 2009. Delbarton won NJAC championships in 2011, 2012, 2013, 2014 and 2015. Since 2016, the Green Wave joined the North Jersey Super Football Conference, playing in the "White Division." Delbarton has won six Morris County soccer championships and seven New Jersey State Interscholastic Athletic Association ("NJSIAA") championships since 1995 under former All-American David Donovan. In 1997, under interim head coach Erin Sullivan, Delbarton won a triple crown - winning the Northern Hills Conference, Morris County Tournament and NJSIAA Parochial A state tournament. Again in 2003 and 2004, Delbarton won the triple crown, finishing second in The Star-Ledger state rankings in 2003 and first in 2004. In 2003, the team beat Saint Benedict's Preparatory School of Newark, New Jersey, which was the number one team in the country and had not lost to a New Jersey team in 12 years. In 2007, Delbarton's soccer team made it to the North Jersey Non-Public A final and had achieved a No. 4 ranking in the nation but lost by a 3-2 score to Seton Hall Preparatory School. Delbarton also earned a #2 ranking in the Non-Public A soccer group for the 2008 soccer season. The 2011 Delbarton soccer team won the Northwest Jersey Athletic Conference ("NJAC") regular season title as well as the NJSIAA Non-Public A North sectional championship and was ranked as high as #2 in the state. The 2012 squad was undefeated/untied in winning the NJAC and also won both the inaugural Delbarton Invitational Tournament and the NJSIAA Non-Public A state championship, the latter with a thrilling 1-0 victory over the Pingry School on a last-minute goal. With a 23-1 record and the school's ninth state championship, Delbarton finished first in the final Star-Ledger state rankings for the second time in Green Wave history and was Top Twenty in all national rankings publications including the NSCAA (#16) and Elite Soccer Report (#6). Matt Clausen (MSG Varsity NJ POY) and Greg Siefert (NSCAA Regional All-American) were both 2012 Star-Ledger first team All-State selections. The 2013 edition of Delbarton soccer followed the success of its predecessor with some historic feats of its own. While the 2012 side bludgeoned opponents with offense (scoring over 90 goals), the 2013 team suffocated its competition with defense, allowing only three goals all year and stamping its 22-1-1 record with 22 shutouts, including 18 in a row to close the season. Along the way, the Wave won the triple crown of conference, county and state championships and earned Delbarton both a second consecutive Star-Ledger #1 state ranking as well as a national ranking by the NSCAA (#24). The Star-Ledger named Coach Donovan its NJ Coach of the Year and Mike Moshier (NSCAA Regional All-American) a first-team All-State selection. In 2014, Delbarton once again took home the Non-Public A state championship, its third in a row, with a 3-0 win in the tournament final against Notre Dame High School. In 2015, the soccer team won its four consecutive Non-Public A title with a 2-0 win against Christian Brothers Academy and finished the season top-ranked in the state by NJ.com. In 2017, the team entered the season ranked No. 1 in NJ.com Top 20 preseason rankings. Led by Division I-bound recruits Will Stroud (Colgate), John Gerard (Colgate) and Mark Forbes (Villanova), the Green Wave went 21-0-1 overall, winning the Morris County Championship and its 5th state title in six years. Delbarton defeated Mendham 2-1 in the Morris County Tournament final on a goal by senior Will Stroud with 24 seconds left in the second half. In the state tournament, the Green Wave defeated Union Catholic (3-0), Pingry (1-0) and Seton Hall Prep (4-0) before defeating Christian Brothers Academy 4-1 to win the school's 13th overall and 11th Non-Public state championship. Delbarton finished the season No. 1 in the NJ.com Top 20 and were named Team of the Year. The cross country team competes in the NJAC in Non-Public A. Patrick Shellberg (2010) and Morgan Pearson (2011) made first team all state, and competed and won separate events at Penn Relays in 2010. In the winter, Delbarton offers three major sports (sports with three separate team levels): Basketball, Ice Hockey, and Wrestling. In addition, five minor sports (sports with two or fewer levels of competition) compete under the Green Wave: Bowling, Indoor Track, Squash, Ski Team, and Swimming. Delbarton won the Morris County Tournament in 1989, 1990, 1992, 2003 and 2006. Delbarton won the State Prep basketball championship in 1968 under coach Bernie Brennan. Delbarton won outright state championships in 1992, 2002, 2006, 2008-2013, 2016-2018, and was the state co-champion in 1989. Delbarton won Morris County's Mennen Cup championship 18 times over a 21-year span from 1984 to 2004. The hockey program then left the Morris County league to compete in the state's top league, the Gordon Conference, beginning with the 2004–2005 school year. The team won the Gordon Cup championship in its first season. Delbarton's chief rival is Seton Hall Prep. At the height of the teams' rivalry, regular-season games between the two regularly drew more than 1,000 fans, and a regular season game in 2000 filled all 2,500 seats at the Mennen Arena. In 2006, Delbarton defeated previously undefeated Seton Hall Prep to win the New Jersey State Interscholastic Athletic Association (NJSIAA) non-public state championship. Delbarton won the state championship in 2008 by defeating St. Augustine Prep 5-1. It was Delbarton's fourth outright state championship and fifth overall, and the Green Wave set a state record with 27 wins, finishing the season 27-1-1. In 2009, Delbarton repeated with another 27-win season that included victories over Massachusetts state champion Catholic Memorial, Hotchkiss (CT), and Christian Brothers Academy in the state final. Delbarton finished the season ranked No. 1 in the Northeast by Hockey Night in Boston. Beginning in 2008, Delbarton, led by head coach Bruce Shatel, won six straight NJSIAA Non-Public State Titles: 2008, 2009, 2010, 2011, 2012, and 2013. In 2013, Delbarton defeated Don Bosco Preparatory High School 4-0 at the Prudential Center in Newark in the Non-Public State Final. On February 1, 2014, as part of the NHL Stadium Series, Delbarton defeated Catholic Memorial School 3-0 in an outdoor game held at Yankee Stadium. The Green Wave have won 11 straight Gordon Conference championships, 2007-2017 since moving to Gordon Conference. In 2016, Delbarton defeated CBA 3-1 at the Prudential Center in Newark in the Non-Public State Final and repeated as NJSIAA Non-Public State Champions in 2017, defeating Don Bosco Preparatory High School 2-1 at Mennen Arena. The Green Wave finished the season with a 27-1-2 record and named NJ.com Team of the Year. Delbarton plays its home games at the Aspen Ice Arena in Randolph, New Jersey following years of early morning winter practices at the outdoor Essex Hunt Club (Peapack) and the more local (and enclosed) Mennen Arena in Morristown. Notable Delbarton commits who went on to play in the NHL include George Parros (1998), 2007 Stanley Cup Champion with Anaheim Ducks and Kenny Agostino (2010), currently playing with the New Jersey Devils. In 2002, Antonio Mangione captured the first individual state championship in school history (he later went on to win the state tournament a second time). In 2006, Delbarton's Mike Grey became the first four-time New Jersey state champion in the sport of wrestling. In 2006, and 2007, Delbarton's Frank Perrelli and Trevor Melde respectively won state championships, extending Delbarton's championship run to a total of six years and eight individual state titles. In 2008, Delbarton won its first Northern Hills Conference Championship in wrestling. In 2009, Delbarton wrestling won the Morris County tournament for the second time in school history, the Northern Hills Conference, and the District IX tournament. That year, they also finished 20th in the state with an 18-2 record. In 2011, Delbarton won its first North Non-Public A sectional championship by defeating Bergen Catholic High School and took the state Group Non-Public A championship by defeating Bishop Ahr High School to finish the season with a 13-1 record and was ranked 5th in the state. In 2013, led by Coaches Bryan Stoll and Guy Russo the Delbarton wrestling team captured its fifth consecutive Morris County tournament title, crowning four individual titles. Joe Tavoso '15, Ty Agaisse '16, and Patrick Glory '18 all won individual state championships, all three later wrestling at Princeton. Under the direction of Kent Manno, Delbarton were crowned champions of the Morris County Tournament for 10 consecutive years, from 1983 to 1993. In 2009, Delbarton captured its 7th straight Northern Hills Conference title. Also in 2009, Delbarton placed third in Division A of the NJSIAA Prep state championships and fourth at the Morris County Championships. In 2016, Delbarton entered the NJ.com Top 20 swimming rankings at No. 17 after an upset victory over 12th-ranked St. Peter's Preparatory School. The 2015-16 team sent seven swimmers to the NJSIAA Meet of Champions. In 2009, Delbarton tied for third overall at the NHC Championships, behind West Orange and Passaic Tech. Delbarton also sent relay teams to the Nike Indoor Nationals in 2009 in both distance and sprinting events. On January 29, 2010, Pat Schellberg won the boys' mile at the 103rd Millrose Games with a time of 4:14.84. Delbarton has Junior Varsity and Varsity squash teams, which compete with other schools in the Tri-State area. The Varsity team also competes in certain national events, such as the National High School Championships at Yale University. In 2011, Delbarton won the U.S. High School Team Squash Championships for Division V with a 4-3 win in the tournament final against St. George's School, Newport. The 2010-11 winter season saw the introduction of a Ski Team. The Ski Team races against eighteen other public and private high schools mostly from northwest NJ. The Ski Team trains, races and competes at Mountain Creek in Vernon Township, New Jersey. In its inaugural year the team finished third of eight in the Freedom League, made the team state finals, and finished ninth in the state. After only one season with competitive racers, though, the team finished the unseasonably warm 2011–2012 season ranked third in the league and fourth overall in the state. In the 2013–2014 season, Delbarton's Ski Team was ranked number one in New Jersey. They won their first state championship and finished first in the Freedom League. During the Spring season, Baseball, Lacrosse, Tennis, Golf and Track & Field are the sports offered to the students. The baseball team won the Non-Public A state championship in 1996 (defeating Camden Catholic High School in the tournament final) and 2002 (vs. Christian Brothers Academy). The team won its fifth Morris County Tournament title in 2017, defeating Randolph High School by a 6-5 score in extra innings in the final. The team has won the Morris County Tournament four times, tied for the second-most in tournament history, winning in 1970, 1987, 2008 and 2012. Brian Fleury was Director of Athletics, head varsity baseball coach, and an English teacher at Delbarton. In his ten years as Delbarton's head baseball coach, his teams compiled a record of 223-63 and won nine Northern Hills Conference championships plus NJSIAA state championships in 2002 and 2006, before his death in October 2007. Under Coach Bruce Shatel, Delbarton won the Non-Public A state championship in 2017 with a 2-1 victory in the final of the tournament against St. Augustine Preparatory School. NJ.com named Delbarton as its "Teamof the Year" based on its victories in conference, county and state competition. Under the guidance of 1979 alumnus Chuck Ruebling, Delbarton has had one of the best lacrosse team in New Jersey from 1999-2006, having won five straight Tournament of Champions titles in the years 2002-06 and seven out of eight years, and won the 2014 and 2016 Tournament of Champions, defeating Summit High School and Pingry in the tournament finals. The five Tournament of Champion wins (starting in 2004), the 13 group titles and eight consecutive group titles from 2002 to 2009 are all the most of any team in the state. They lost in the Tournament of Champions in 2009 to Summit High School by a score of 8-4. The 2009 championship broke a tie with Montclair and Mountain Lakes for the most championships, and as of 2010[update] the team is tied with Mountain Lakes at 10 with the most group titles. In 2007, the Delbarton lacrosse team was ranked fifth in the nation by STX/Inside Lacrosse. Delbarton's lacrosse team was ranked fifth in the nation in 2007 by the LaxPower.com National High School Coaches Poll. The 2007 team won the Non-Public A state championship with a 14-5 win over Christian Brothers Academy. Delbarton returned to the top of New Jersey lacrosse after eight years in 2014, capturing its fourth TOC state title over Summit High School by a final score of 7-5. Delbarton won another TOC title in 2018, defeating Watchung Hills 10-4. The team ended the season ranked #2 in the Nation by Under Armour and USA Today. Delbarton's tennis program has won nine of the last ten Morris County Tournaments and six consecutive state group titles, finishing second in the state in 2006. The 2006 tennis team won the 2006 Group A state championship with a 5-0 win over St. Augustine College Preparatory School. The tennis team won the 2007 Non-Public, North A state sectional championship with a 3-2 win over Pingry School. In 2008, the tennis team won the Non-Public, North A state sectional championship with a 4-1 win over Pingry School. It went on to defeat Westfield High School, 3-2, to win its first ever Tournament of Champions title. Delbarton's golf program is consistently one of the top-ranked squads in Morris County. Calling both Morris County Golf Club and Somerset Hills Country Club home, the Green Wave have excelled in recent years under the leadership of Coach Sean Flanagan. In 2000, and 2001, Delbarton won back to back state titles. In 2010, the Green Wave ended the season with a 17-0 record, having won the North Jersey, Non-Public A section, as well as the Non-Public Group A, Morris County Tournament, the Northwest Jersey Conference Tournament and the conference crown. The team ranked second in the state. The current coach of the team is Mr. Sean Flanagan, the Star-Ledger's 2010 Coach of the Year. On April 23, 2010, at the 116th Penn Relays, Pat Schellberg won the high school boys' one mile (1.6 km) run championship and broke the track meet's event record. His time of 4:08.13 was also the fastest recorded mile run by any boy in the U.S. that year (2010). The following year, Morgan Pearson won the boys' 3,000 meter run in the Penn Relays with a time of 8:22. Dean Sullivan won the boys' javelin throw at New Balance Outdoor Nationals in 2011 with a throw of 217 feet 9 inches. Delbarton is also one of the few schools in the area with a Rugby Club. In 2010, Coach Tom Feury, founder of Morris Youth Rugby, and Coach Bob Karetsky, who coached Harvard Rugby for several years, led Delbarton's Rugby Club to a 13-1 record in the Green Wave club's second season. The team's only loss was to Morris Rugby, a team that was founded in 1977 composed of several players with more than four years experience. In the team's 11-0 dual schedule (one forfeit), the offense scored 402 points, and the defense only let up 60. The Delbarton Rugby Club won New Jersey's inaugural rugby state championship title, defeating St. Peter's Preparatory School by a score of 43-3 in May 2012. The club went undefeated throughout the 2015 season, outscoring its opponents 246-32, and defeating St. Augustine Preparatory School by a score of 33-21 in the single-school state championship. The team, which had multiple players nominated to the New Jersey All-State team, was also later ranked 42nd in the nation. Delbarton's Abbey Players produce three theatrical productions yearly: a fall play, a winter musical and a spring 'One Act' production featuring student written and directed plays. The productions attract participants from neighboring schools. Delbarton has a range of instrumental ensembles, including a Wind Ensemble, Jazz Band, Abbey Orchestra, and Percussion Ensemble. There are several a cappella and vocal ensembles. The group Schola Cantorum, commonly referred to as 'Schola,' is Delbarton's flagship chorus and features about 40 Delbarton students of all grades. Schola was founded by Dr. Roy Horton. The group performs all year in school concerts and at school masses. Schola Cantorum has performed across the United States and Europe. During the Summer of 2007 the Delbarton Schola Cantorum performed throughout Italy and in a Vatican mass service. Schola has also toured England, Ireland, and Scotland. The Benedictones is an a cappella group focusing primarily on pop classics and barbershop songs and is led by Mr. David Blazier, who inspired the group's formation in 2005. Gothicappella is led by Rev. Carol Horton and focuses primarily on music written before 1500. Gothicappella selections include plainsong and Gregorian chant, as well as other lesser-known songs. On October 19, 2006, Delbarton officially opened its brand new Fine Arts Center. The arts and music departments were formerly housed in the school's historic "Old Main" building. The new 36,000 sq ft (3,300 m2) building includes a 622-person theater, several art studios, and rehearsal spaces for Delbarton's many musical groups. The school broke ground on the site during the Summer of 2005 and ended construction in the Fall of 2006. It represents a capital investment of more than $20 million USD. After-school music lessons (voice lessons, various instruments) are also offered in the facility. The Abbey Church also houses a pipe organ which was rebuilt in 2012. The space is known for its acoustic qualities. After a six-year battle between state officials and the Monks at Delbarton School, as well as $2 million in legal fees, a decision was made on July 26, 2006, that the request for a sewer extension to the proposed $100 million Abbey Woods development, a continuing-care retirement community, would not be allowed. Environmentalists and several Morris Township residents had been working against the project that would develop 71 acres (290,000 m2) of zoned land adjacent to the Jockey Hollow Park. Rev. Elias R. Lorenzo commented in The Star-Ledger that "If the development is not passed, we will sell the land to other developers". In 2009, Delbarton sold 188 acres (0.76 km2) of the Abbey Woods to The Trust for Public Land for $13.75 million. While the acquisition was primarily handled by the Trust, ownership will mostly be held by the Morris County Park Commission, with Morris Township receiving 10 acres (40,000 m2). See also: Category:Delbarton School alumni. Kenny Agostino (born 1992, class of 2010), professional hockey player with the Boston Bruins. Kary Antholis (born 1962, class of 1980), President for Miniseries at HBO and Academy Award Winner. William Antholis (born 1965, class of 1983), Director and CEO, Miller Center, University of Virginia, formerly Managing Director of the Brookings Institution. Darryl M. Bell (born 1963), actor. Stephen Bienko (born 1979), entrepreneur behind the College Hunks Hauling Junk brand. Michael Patrick Carroll (born 1958), member of the New Jersey General Assembly. John Cholish (born 1983), mixed martial artist who competes in the lightweight division of the Ultimate Fighting Championship. Dan Cocoziello (born 1985), professional lacrosse player. Ned Crotty (born 1986, class of 2005), Tewaaraton Award winner and professional lacrosse player. 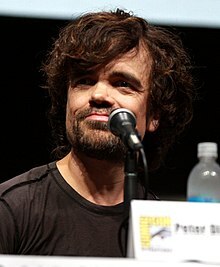 Peter Dinklage (born 1969), actor and Emmy and Golden Globe Winner. Christopher Durang (born 1949), playwright. Mike Ferguson (born 1970), former United States congressman. Alex Hewit (born 1985), retired lacrosse goaltender who played for the New Jersey Pride. Robert Tappan Morris (born 1965), computer scientist who created the first internet worm. Troy Murphy (born 1980), retired professional basketball player. George Parros (born 1979), retired professional hockey player and member of the 2006-2007 Anaheim Ducks Stanley Cup championship team. PES (born 1973 as Adam Pesapane), Oscar and Emmy-nominated director and stop-motion animator, whose short film Fresh Guacamole was nominated for the Academy Award for Best Animated Short Film in 2013. Teddy Schneider (born 1988), soccer player for the New York Red Bulls. Reade Seligmann, one of the three lacrosse players charged and later exonerated in the 2006 Duke University lacrosse case. Jared Stroud (born 1996), footballer who plays as a midfielder for New York Red Bulls II in the United Soccer League. Rod Trafford (born 1978), former professional football player (Buffalo Bills). Dave Weinstein (born 1988), appointed by Governor of New Jersey Chris Christie in 2016 to serve as the state's first Chief Technology Officer. ^ a b Caffrey, Fr. Benet. "Delbarton School: A Summary History" Archived June 23, 2009, at the Wayback Machine Accessed June 10, 2009. ^ a b c d School data for Delbarton School, National Center for Education Statistics. Accessed October 20, 2017. ^ a b c Delbarton School, New Jersey State Interscholastic Athletic Association. Accessed December 8, 2015. ^ a b Delbarton School, Middle States Association of Colleges and Schools Commissions on Elementary and Secondary Schools. Accessed December 1, 2017. ^ a b Tuition Information, Delbarton School. Accessed August 20, 2017. "Tuition for the 2017-18 academic year is $37,900.00 for all grades. Tuition is comprehensive, covering items such as daily hot lunch, and most activity fees." ^ Morris County Schools, Roman Catholic Diocese of Paterson. Accessed August 11, 2017. ^ "The Student Body". Archived from the original on September 28, 2011. Retrieved August 23, 2010. ^ Gamerman, Ellen; Chung, Juliet; Park, SungHa; and Jacson, Candace. "How the Schools Stack Up", The Wall Street Journal, December 28, 2007. Accessed December 8, 2015. ^ Blue Ribbon Schools Program: Schools Recognized 1982-1983 through 1999-2002, United States Department of Education. Accessed November 18, 2016. ^ "2018 Best Catholic High Schools in America". Niche. Retrieved February 6, 2018. ^ Member Listing, New Jersey Association of Independent Schools. Accessed November 18, 2016. ^ The Kountze Family of Delbarton Archived April 15, 2013, at Archive.today, St. Mary's Abbey. Accessed July 18, 2012. "Luther Kountze had four children: Barclay Ward, William Delancey, Helen Livingston and Annie Ward. The estate was evidently named by borrowing a syllable from each of the first three children's names." ^ Manahan, Kevin. "Delbarton monk accused of sexual abuse in newest allegations", NJ Advance Media for NJ.com, June 6, 2012. Accessed December 8, 2017. "The latest in a string of accusations of sexual abuse at the Delbarton School involve a monk, the Rev. Benedict Worry, who has been serving as the pastor of St. Elizabeth of Hungary in Linden and the chaplain for the Linden Police Department. At a press conference on the Morris County courthouse lawn Tuesday, two miles from the private school, Delbarton alumnus Steve Badt and an unnamed former student joined two other alleged abuse victims in a civil lawsuit originally filed in March against the school and St. Mary’s Abbey, which runs the school." ^ Delbarton Model UN Archived September 19, 2009, at the Wayback Machine. Accessed June 5, 2007. ^ "Delbarton School: Student Handbook" (PDF). Delbarton School Website. Archived from the original (PDF) on July 18, 2011. Retrieved November 26, 2009. ^ "Student for a Day Procedures" (PDF). Delbarton School Website. Archived from the original (PDF) on March 3, 2012. Retrieved November 26, 2009. ^ "Delbarton School Daily Announcements". Delbarton School Website. Archived from the original on November 15, 2009. Retrieved November 26, 2009. ^ "Delbarton School: Advanced Placement". Delbarton School Website. Archived from the original on March 3, 2012. Retrieved November 26, 2009. ^ "Delbarton School: 107 Delbarton Students Qualify as AP Scholars". Delbarton School News Archive. Archived from the original on September 28, 2011. Retrieved November 26, 2009. ^ "Delbarton School: Academics: Mathematics". Archived from the original on May 3, 2014. Retrieved May 2, 2014. ^ "Delbarton School: Class of 2010 Colleges" (PDF). Delbarton School Website. Archived from the original (PDF) on July 18, 2011. Retrieved August 23, 2010. ^ "Delbarton School Senior Awards Convocation 2010" (PDF). Delbarton School Website. Archived from the original (PDF) on July 18, 2011. Retrieved August 23, 2010. ^ "Delbarton School: Colm Cross named Merit Scholar". Delbarton School News Archive. Archived from the original on September 28, 2011. Retrieved November 26, 2009. ^ "Delbarton School: National Merit Finalists". Delbarton School News Archive. Archived from the original on September 28, 2011. Retrieved November 26, 2009. ^ "Delbarton School: National Merit News". Delbarton School News Archive. Archived from the original on September 28, 2011. Retrieved November 26, 2009. ^ League Memberships – 2016-2017 Archived November 9, 2012, at the Wayback Machine, New Jersey State Interscholastic Athletic Association. Accessed August 11, 2017. ^ Home Page, Northern Hills Conference, backed up by the Internet Archive as of January 28, 2011. Accessed November 25, 2014. ^ a b c "Team Schedules" Archived April 20, 2009, at the Wayback Machine, Delbarton School. Accessed June 9, 2009. ^ Goldberg, Jeff. NJSIAA Football Playoff Champions, New Jersey State Interscholastic Athletic Association. Accessed November 19, 2015. December 8, 2011. ^ Staff. "High School Football; Trailing by 16-6, Union Rallies to 3d Title in Row", The New York Times, December 5, 1993. Accessed September 10, 2012. "Ryan Crane passed for an 8-yard touchdown to Charlie Minervino with 4:41 left, and Steve Bienko made his third placement to lift DELBARTON (11-0) to a 24-23 upset victory over ST. JOSEPH (10-1) for the Parochial Group 3 championship in Montvale." ^ Hofmann, Joe. "Delbarton Wary Of Immaculata", Daily Record (Morristown), November 17, 1999. Accessed September 10, 2012. "That same group helped lead Delbarton to a 21-3 victory over Immaculata in the state final at Rutgers last year." ^ Class of 1998 - Bollinger High School Hall of Fame Archived May 21, 2007, at the Wayback Machine, New Jersey State Interscholastic Athletic Association. Accessed October 1, 2011. ^ Staff. "John Kowalik '83 -- Learning to teach while competing at Williams", Williams College Athletics, November 3, 2009. Accessed September 10, 2012. "In 1987 he took over as head football coach and athletic director, and later became dean and assistant headmaster. He went 138-29 (.826) in 16 years and became the youngest coach in New Jersey history to reach 100 wins. Under Kowalik Delbarton captured two state championships, posted five "Top 10" state final rankings, and won nine conference championships." ^ Staff. "Delbarton made history in 2003", Daily Record (Morristown), December 8, 2003. Accessed October 1, 2011. ^ Kitchin, Mark. "Seton Hall holds off Delbarton for title", Daily Record (Morristown), November 9, 2007. Accessed July 18, 2012. "Sean Dugan scored two goals to lift Seton Hall Prep to a 3-2 triumph over Delbarton in the North A Non-Public final." ^ Havsy, Jane. "Delbarton wins third straight state soccer title", Daily Record (Morristown), November 17, 2014. Accessed October 21, 2015. "It is Delbarton's fourth consecutive appearance in the Non-Public A final, and third straight state title, the first time in school history that has happened — after four previous back-to-back seasons." ^ Greco, Richard. "Boys Soccer: Delbarton is the top team in the final NJ.com Top 20 for 2015", NJ Advance Media for NJ.com, November 24, 2015. Accessed December 1, 2017. "You can call Delbarton, No. 1 in the NJ.com Top 20, a dynasty. The Morris County school claimed its fourth straight NJSIAA/Sports Authority Non-Public A Title when it defeated No. 9 Christian Brothers 2-0 on Nov. 15 behind goals from Bobby Fabricant and John Gerard." ^ Fiddes, Jessica. "Fast Times at Delbarton High" Archived July 15, 2015, at the Wayback Machine, Delbarton School, December 1, 2009. Accessed December 9, 2015. ^ Fiddes, Jessica. "Runner Morgan Pearson '11 Wins at Penn Relays" Archived July 15, 2015, at the Wayback Machine, Delbarton School, May 2, 2011. Accessed December 9, 2015. ^ Mandel, Ken. "Pearson Takes First in 3,000 Meter Race at Penn Relays; Delbarton's Morgan Pearson, who was ranked 11th going into the event, took first place. ", Morris Township - Morris Plains Patch, April 30, 2011. Accessed December 9, 2015. "Using that as final motivation, Pearson strode to an upset win in the 3,000-meters Championship of America race late Friday afternoon, emerging from the field of 27 who qualified.... Pearson is the second Delbarton runner to earn a championship at the Penn Relays. Pat Schellberg, now a freshman at the University of North Carolina, took the mile championship last year." ^ Vasquez, Andy. "Ice hockey: Don Bosco loses to Delbarton", The Record (Bergen County), March 9, 2013. Accessed March 9, 2013. "Don Bosco's best hockey season in nearly 20 years came to a frustrating end this afternoon at Prudential Center. The Ironmen fell 4-0 to Delbarton in the Nob-Public state tournament final.... It was Delbarton's sixth consecutive Non-Public title, and the program's seventh title in the last eight seasons." ^ Breeman, Dan. "Delbarton delights in showdown with Seton Hall", Daily Record (Morristown), January 6, 2007. Accessed July 18, 2012. "Playing in his first game for the Green Wave since becoming eligible, the junior transfer from Chatham stopped 22 shots in helping Delbarton skate to a surprisingly easy 5-1 victory over arch-rival Seton Hall Prep in front of a capacity crowd of 2,500 at Mennen Arena." ^ 2006 Ice hockey - Non-Public, New Jersey State Interscholastic Athletic Association. Accessed July 18, 2007. ^ Staff. "Delbarton 5, St. Augustine 1", The Star-Ledger, March 23, 2008. Accessed July 18, 2012. "Delbarton, No. 1 in The Star-Ledger Top 20, which plays in the elite Gordon Conference, displayed its dominating combination of poise, moxie and skill again yesterday, crafting a 5-1 victory over No. 2 St. Augustine Prep of Richland for the NJSIAA/Devils Non-Public tournament championship at the Prudential Center in Newark." ^ 2016 NJSIAA Ice Hockey State Championships Program, New Jersey State Interscholastic Athletic Association. Accessed April 3, 2016. ^ Vasquez, Andy. "H.S. ice hockey: Don Bosco can't stop Debarton", The Record (Bergen County), March 10, 2013. Accessed April 3, 2016. "Don Bosco fell to Delbarton, 4-0, in the Non-Public state final.... But the Ironmen couldn't deny Delbarton, which claimed its sixth consecutive state championship, and the program's seventh in eight years." ^ Hackey, Chris. "Ice Hockey: No. 1 Delbarton uses strong third period to beat Catholic Memorial (MA) at Yankee Stadium", The Star-Ledger, February 1, 2014. Accessed April 3, 2016. "Receiving 19 saves from freshman goalie Troy Kobryn and scoring three third-period goals, Delbarton, No. 1 in The Star-Ledger Top 20, defeated Catholic Memorial (MA. ), 3-0, yesterday at Yankee Stadium in the Bronx, NY." ^ a b c Brower, Donald J. "Delbarton wins first state wrestling title", The Star-Ledger, February 13, 2011. Accessed July 18, 2012. "But the program never won a state team championship. That feat was achieved Sunday when Delbarton, No. 5 in The Star-Ledger Top 20, cruised to a 55-12 victory over Bishop Ahr in the NJSIAA Non-Public A title match at Poland Spring Arena in Toms River.... The gym was packed Friday night in Morris Township when Delbarton beat in Bergen Catholic, 32-24, in the North Jersey, Non-Public A final." ^ Behre, Bob. "Former Delbarton star Mike Grey finishes as an All-American at NCAA wrestling tournament", The Star-Ledger, March 19, 2011. Accessed July 18, 2012. "Five years ago, Mike Grey, then wrestling in high school for Delbarton, became New Jersey's first four-time NJSIAA tournament champion." ^ History of the NJSIAA Team Championships, New Jersey State Interscholastic Athletic Association. Accessed December 8, 2015. ^ Kania, Joe. "Morris County Tournament - Wrestling", The Star-Ledger, January 26, 2013. Accessed January 27, 2013. ^ Fiddes, Jessica. "Wave Swim Wins Lucky No. 7 NHC Championship (Swimming (Varsity))" Archived September 17, 2009, at the Wayback Machine, Delbarton School, January 20, 2009. Accessed June 9, 2009. ^ Fiddes, Jessica. "Swim Team Medals at States (Swimming (Varsity))" Archived September 17, 2009, at the Wayback Machine, Delbarton School, February 12, 2009. Accessed June 9, 2009. ^ Deakyne, Brian. "Boys Swimming: The NJ.com Top 20 for Friday, Jan. 8", NJ Advance Media, January 8, 2016. Accessed April 3, 2016. "There is one new addition this week, as Delbarton makes its first appearance at No. 17 following a 93-77 win over St. Peter's Prep this week." ^ Fiddes, Jessica. "Schellberg '10 Sets Record 'For All Time' (Track & Field (Varsity))" Archived September 17, 2009, at the Wayback Machine, Delbarton School, January 6, 2009. Accessed June 9, 2009. ^ Lambert, Jeff. "NJ BOYS, GIRLS INDOOR TRACK: Schellberg wins boys' mile at Millrose Games (High school Boys Indoor Track news)" The Star Ledger, January 30, 2010. ^ Fiddes, Jessica. "Wave Squash Wins National Title" Archived June 6, 2013, at the Wayback Machine, Delbarton School, February 14, 2011. Accessed September 10, 2012. "Green Wave Squash team brought home its first ever national team title after an exciting weekend in Connecticut.... Delbarton defeated St. Paul's School in the first round, MICDS of St. Louis in the second and Gonzaga in the third to face St. George's in the final match. The Green Wave won the division finals by a score of 4-3." ^ History of the NJSIAA Baseball Championships, New Jersey State Interscholastic Athletic Association. Accessed December 1, 2017. ^ Stypulkoski, Matt. "No. 16 Delbarton wins Morris County title, downs No. 14 Randolph in 9 innings", NJ Advance Media for NJ.com, May 15, 2017. Accessed December 1, 2017. "That opportunity came in the ninth inning, when Thomas Colicchio laced an RBI single to left field that ultimately gave third-seeded Delbarton, No. 16 in the NJ.com Top 20, a 6-5 win over top-seeded and No. 14 Randolph in the Morris County Tournament final at Horseshoe Lake Park on Monday night.... The win gave Delbarton (14-5) its fifth Morris County Tournament title and its first since 2012." ^ Bernstein, Jason. "Baseball: Morris County Tournament History", NJ Advance Media for NJ.com, May 13, 2013. Accessed December 1, 2017. ^ Staff. "In Memoriam Brian E. Fleury", UDaily, October 25, 2007. Accessed June 9, 2014. "Fleury became a teacher, athletic director and head baseball coach at the Delbarton School in Morristown, N.J., where he led his teams to nine conference championships in 10 seasons with an overall record of 223-63." ^ Stypulkoski, Matt. "No. 4 Delbarton walks off against No. 1 St. Augustine, wins 1st state title since 2002", NJ Advance Media for NJ.com, June 10, 2017. Accessed December 1, 2017. "But on Saturday, the 15-year-old freshman rewrote the record books with a pinch-hit, walk-off single that propelled Delbarton, No. 4 in the NJ.com Top 20, to a 2-1 win over No. 1 St. Augustine and secured the program's first state title since 2002." ^ Stypulkoski, Matt. "Delbarton is the NJ.com baseball Team of the Year for 2017", NJ Advance Media for NJ.com, June 21, 2017. Accessed December 1, 2017. "From there, Delbarton rattled off 16 of 19 wins to claim all four titles within its reach – the NJAC United Division, the Morris County Tournament, the North Jersey, Non-Public A tournament and the Non-Public A championship." ^ a b HISTORY OF THE NJSIAA BOYS' LACROSSE CHAMPIONSHIPS, New Jersey State Interscholastic Athletic Association. Accessed December 22, 2016. ^ Staff. "Summit 8, Delbarton 4 (High school Boys Lacrosse scores and results)", The Star-Ledger, June 6, 2009. Accessed January 20, 2012. "Brian Feeney altered the course of the game with several stellar early rejections and finished with 18 saves and senior teammate James Kennedy tossed in five goals to propel Summit, No. 2 in The Star-Ledger Top 20, to an 8-4 upset over No. 1 Delbarton before 3,800 yesterday in the NJSIAA/New Balance Tournament of Champions finals at Rutgers' Yurcak Field in Piscataway." ^ STX/Inside Lacrosse High School Rankings Archived September 27, 2007, at the Wayback Machine, Inside Lacrosse, May 7, 2007. Accessed June 5, 2007. ^ 2007 Boys Lacrosse - Non-Public - A, New Jersey State Interscholastic Athletic Association. Accessed June 5, 2007. ^ Knego, Lauren. "Delbarton lacrosse wins first TOC title since 2006", Daily Record (Morristown), June 7, 2014. Accessed June 8, 2014. "Top-seeded Delbarton was down 3-2 at the half and bounced back with four goals in the third quarter to beat No. 2 Summit 7-5 for its first Tournament of Champions crown since 2006 and fourth overall." ^ 2006 Boys Team Tennis - Non-Public Group Finals, New Jersey State Interscholastic Athletic Association. Accessed July 17, 2007. ^ 2007 Boys Tennis - Non-Public, North A, New Jersey State Interscholastic Athletic Association. Accessed June 7, 2007. ^ 2008 Boys Team Tennis - North A, New Jersey State Interscholastic Athletic Association. ^ "Wave Golf #2 in State, Flanagan is Top Coach". Delbarton School News Archive. Archived from the original on July 26, 2010. Retrieved August 23, 2010. ^ Ruyzam, Jon (June 18, 2010). "NJ Boys Golf: Delbarton's Sean Flanagan is state Coach of the Year". The Star-Ledger. Newark, New Jersey. Retrieved August 23, 2010. ^ Lambert, Jim. "NJ Boys Track: Penn Relays Record for Schellberg", NJ.com, April 23, 2010. ^ "NJ Rugby has first championships" Archived June 4, 2013, at the Wayback Machine, New Jersey Rugby, May 17, 2012. Accessed September 17, 2012. "Delbarton defeated Saint Peters prep 43-3 to win the first High School State Finals." ^ Goff, Alex. "Delbarton Top Single-School in NJ", Goff Rugby Report, June 8, 2015. Accessed December 8, 2015. "Delbarton School defeated St. Augustine 33-21 Sunday to win the Rugby New Jersey single-school Boys HS championship." ^ Fiddes, Jessica. "Delbarton's Abbey Players Present One Acts 2007" Archived September 28, 2007, at the Wayback Machine, Delbarton School, April 17, 2007. Accessed August 29, 2007. ^ Fiddes, Jessica, and Micchelli, Margaret. "Schola Cantorum Performs in Italy" Archived September 28, 2007, at the Wayback Machine, Delbarton School, August 27, 2007. Accessed August 29, 2007. ^ DEP Kills Abbey's Housing Proposal, Daily Record (Morristown), July 27, 2006. ^ Drobness, Tanya. "Benedictine monks of St. Mary's Abbey sell 188 acres in Morris Township for $13.75M", The Star-Ledger, July 1, 2009. Accessed August 22, 2010. ^ Diveny, Br. Paul "Delbarton School: Welcome" Archived May 3, 2010, at the Wayback Machine Accessed December 16, 2009. ^ Fiddes, Jessica. "Fr. Michael Tidd, OSB, Named 12th Headmaster of Delbarton School", Delbarton School, November 10, 2017. Accessed December 1, 2017. "In September, when Headmaster Br. Paul Diveny, OSB announced that, after a ten year tenure, he would step down at the end of the school year, many wondered who the next headmaster would be. At a Morning Meeting on November 10, we got our answer: Abbot Richard Cronin, OSB announced that Fr. Michael Tidd, OSB will take over as headmaster this July. Fr. Michael will be 12th headmaster in the seventy-nine year history of Delbarton." ^ Gulitti, Tom. "Former Delbarton star Kenny Agostino looking forward to facing Devils in Rock return with Flames", NorthJersey.com, April 7, 2014. Accessed June 6, 2014. "Playing hockey at Prudential Center won't be anything new for Kenny Agostino. The Flanders native won three NJSIAA Non-Public state titles at The Rock with Delbarton." ^ Stanmyre, Matthew. "New Jersey high school sports traditions: Here is Delbarton's, tell us about yours", The Star-Ledger, October 13, 2009. Accessed February 15, 2011. "Delbarton, which is situated on a sprawling, tree-lined campus in Morristown, opened in 1939 and produced its first graduating class of 12 students in 1948. Today, there are 541 students at the school, which boasts alumni such as the NBA's Troy Murphy, former New Jersey congressman Mike Ferguson and Academy Award-winning documentary filmmaker Kary Antholis." ^ Fiddes, Jessica. "Looking for Diamonds" Archived July 18, 2011, at the Wayback Machine, Delbarton Today, Spring/Summer 2009. Accessed August 25, 2009. ^ "William Antholis Named New Executive Director of U.Va. Miller Center". UVA Today. December 8, 2014. Retrieved February 5, 2019. ^ "William J. Antholis". Miller Center. January 18, 2017. Retrieved February 5, 2019. ^ "William J. Antholis". Brookings. February 5, 2016. Retrieved February 5, 2019. ^ Weaver, Maurice. "Darryl Bell Gets Caught Up In A World Of Success", Chicago Tribune, January 29, 1989. Accessed June 29, 2012. "Bell`s own education at Del Barton [sic], an all-boys Catholic preparatory boarding school in New Jersey run by Benedictine monks, was nothing like the atmosphere at A Different World`s fictional Hillman College, a historically black institution. 'As I look back, there were some very hard times for me being one out of four black students, out of 400 students at Del Barton,' says Bell, a talkative student but never the class clown." ^ Ruse, Leslie. "Ruse on the Loose: Morris Twp. man collecting sports equipment for Nicaraguans", Daily Record (Morristown), September 21, 2014. Accessed December 1, 2017. "New Jersey entrepreneur Stephen Bienko, whose Montville company, 42 Holdings, LLC, is the largest owner of College Hunks Hauling Junk and Moving franchise territories, has been selected by NJBIZ Magazine as one of its 2014 '40 Under 40' top business people in the state. The 37-year-old Delbarton graduate lives in Allamuchy." ^ Michael Patrick Carroll biography Archived March 1, 2010, at Archive.today, New Jersey Assembly Republicans. Accessed July 13, 2007. ^ Staff. "Wrestling College Corner", Daily Record (Morristown), January 31, 2005. Accessed June 29, 2012. "Delbarton alumnus John Cholish, a Cornell junior, beat Brock Wittmeyer of Penn, 3-2, at 157 pounds as the Big Red won the nationally televised dual match." ^ Hou, David. "Nation's best 'D' led by Hewit, Cocoziello", The Daily Princetonian, February 29, 2008. Accessed February 15, 2011. "Nine years ago on the lacrosse field of the Delbarton School on the outskirts of Morristown, N.J., Dan Cocoziello and Alex Hewit locked gaze. On that day, college lacrosse's premier defensive duo was born." ^ Orlando, Chris. "Former Delbarton standout Ned Crotty nets ESPN's Top Play of the Day", The Star-Ledger, May 13, 2012. Accessed November 15, 2014. "With a full slate of baseball, NHL and NBA playoffs as well as golf and a host of NCAA sports taking place on Saturday, when all was said and done, the top spot in ESPN's Top 10 Plays of the Day for Saturday, May 12, went to former Delbarton standout Ned Crotty." ^ Smith, Dinitia. "Dark, Handsome And Short; Star of a Sundance Hit Is Ready for an Encore", The New York Times, October 2, 2003. "Mr. Dinklage attended the Delbarton School, a Catholic boys' school in Morristown, N.J., which was strongly sports-oriented. 'Being the size I am, adolescence is tricky,' he said." ^ Dunlap, LucyAnn. "A Play That Asks, 'What Happens After?'" Archived September 27, 2007, at the Wayback Machine, U.S. 1 Newspaper, August 17, 2005. Accessed May 12, 2007. "He wrote his first play at age eight. His Catholic grammar school cancelled class one afternoon and put on his play. Later while he was attending Delbarton School in Morristown, he and a friend wrote two musicals, "Banned in Boston" and "Businessman's Holiday." You won't find these in his collected works but they certainly suggest a young man with an active imagination and a penchant for writing." ^ Members of Congress / Mike Ferguson Archived April 20, 2007, at the Wayback Machine, The Washington Post. Accessed February 15, 2011. "FERGUSON, Michael, a Representative from New Jersey; born in Ridgewood, Bergen County, N.J., June 22, 1970; graduated from Delbarton School, Morristown, N.J.;"
^ Kitchin, Mark. "Mountain Lakes and Delbarton Duel Once Again", Daily Record (Morristown), June 4, 2002. Accessed February 15, 2011. "Delbarton goalkeeper Alex Hewit has also had some exceptional games." ^ Rebello, Kathy; and Werstein, Leslie. "Who is Robert Morris? ;He's young, brilliant, shy - and suspected of creating a devastating computer virus;Brillance [sic] has its roots in family life", USA Today, November 10, 1988. Accessed January 26, 2011. ^ Noie, Tom. "Notre Dame's Dynamic Duo - Troy Murphy and Ruth Riley expected to boost both the men's and women's basketball teams at Notre Dame", Basketball Digest, January 2001. Accessed May 29, 2007. "Such push stems from Murphy's high school days at the exclusive Delbarton School in Morristown, N.J."
^ Gulitti, Tom. "Grown in the Garden -- Devils' Dowd paves way for Jerseyans", The Record (Bergen County), February 10, 2007. Accessed December 8, 2015. "George Parros, RW, Anaheim: Born in Washington, Pa., the Ducks' heavyweight moved to Randolph and played at Delbarton and Princeton." ^ Hyman, Vicki. "Oscars 2013: Budd Lake's PES nominated for best animated short for appetizing Guacamole", NJ Advance Media for NJ.com, February 24, 2013. Accessed December 1, 2017. "Maybe you, like Adam Pesapane, have glanced at a mound of avocados in the supermarket and mistook them, for a moment, for a stockpile of grenades.... The Budd Lake native and Delbarton graduate is nominated for best animated short for Fresh Guacamole an infectiously entertaining stop-motion wonder that clocks in at one minute and 40 seconds, the shortest film ever nominated for an Oscar." ^ Fensom, Michael J. "Red Bulls sign former Princeton defender Teddy Schneider", The Star-Ledger, April 12, 2011. Accessed July 3, 2011. "The Red Bulls announced today the signing of former Princeton defender Teddy Schneider. Schneider was a second round pick, No. 31 overall, by the Red Bulls in the 2011 MLS Supplemental Draft out of Princeton, where he started 65 times in 69 games. A native of Califon and Delbarton alum, the 5-6, 130-pound Schneider will play left back for the Red Bulls." ^ Armstrong, Kevin. "Cloak of support; Seligmann finds salvation as asst. coach at Delbarton", Sports Illustrated, April 16, 2007. Accessed January 26, 2011. ^ Havsy, Jane. "Red Bulls draft Delbarton alumnus, Chester native", Daily Record (Morristown), January 21, 2018. Accessed March 27, 2018. "Colgate senior Jared Stroud was selected in the third round of Major League Soccer's SuperDraft by the New York Red Bulls Sunday. A Delbarton alumnus from Chester, Stroud had four goals and a school-record 13 assists as the Raiders reached the NCAA Sweet 16 for the first time." ^ "Price is right for 'Boys"[permanent dead link], The Record (Bergen County), September 24, 2005. Accessed June 7, 2007. "The Houston Texans released linebacker Frank Chamberlin of Mahwah and safety Jammal Lord of Hoboken, and the Buffalo Bills cut former Delbarton tight end Rod Trafford of Morristown." ^ Dave Weinstein, Johns Hopkins Blue Jays. Accessed December 1, 2017. "Hometown: Westfield, NJ; High School: Delbarton"